Rita Georges is the Managing Partner at Serotte Law. Her practice is focused on investment and employment based immigration law, which allows her to help corporate clients, entrepreneurs, foreign investors, and others achieve their U.S. business goals. She also focuses on cross border issues. She is particularly adept in the Treaty Trader and Treaty Investor (E-1/E-2) visa categories, the H-1B and the L-1 Intra-company transferee. Additionally, Ms. Georges has a well-established understanding of the PERM and Green Card processes. Born and raised in Beirut Lebanon, Ms. Georges immigrated to the U.S. in 1991. In 2006, she completed a Bachelor of Arts in International Studies with a minor in foreign languages. She also completed a year of graduate studies in secondary education. Ms. Georges graduated with her Juris Doctorate from the University at Buffalo School of Law in 2011, earning a dual concentration in international law and finance. As a law student, Ms. Georges held internships with the New York State Office of the Attorney General under Mario Cuomo and with Serotte Law Firm, LLC. 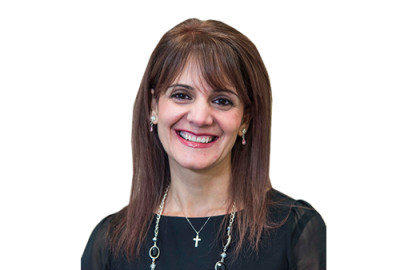 Her combination of educational, professional and life experiences allows her to bring strong business understanding as well as first-hand, multi-cultural knowledge of the Middle East to her practice of law. As a firm, we also benefit from Ms.Georges’ keen business sense as she performs her duties as Managing Partner. In this role, she keeps the firm’s wheels on the track by managing the day-to-day operations, overseeing staff, and implementing both long- and short-term business strategies. Ms. Georges is a member of the American Immigration Lawyers Association and is fluent in English, French, and Arabic.